Joyce Ann Carter Turnipseed, 55, of Tunnel Hill, went home to be with her Lord and Savior on Sunday, October 7, 2018. 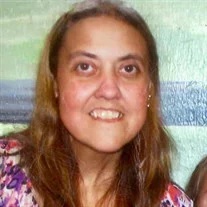 She was a lifelong resident of the North Georgia area and was a member of Revival Baptist Church. She was previously employed with Chitwood & Chitwood for many years and was a loving and devoted sister, mother and grandmother, that will be truly missed by all who knew her. She was preceded in death by her parents, B.W. & Nanie Goodman Carter and her brother, Edward Carter. Survivors include her daughter and son-in-law, Deidre (Justin) Aichele; sisters and brothers-in-law, Ellen (Coy) Baldwin, Eva Holloway, Shirley Guffey and Reba (Carl) Atwood; sister-in-law, Debra Carter; grandchildren, Lindsey Wilson, Alexxys Aichele and Cory Aichele; and several nieces, nephews and numerous extended family and friends. Graveside service will be held at 2:30 p.m. on Wednesday, Oct. 10 at Tennessee Georgia Memorial Park, with Pastor George Ashburn officiating. The family will receive friends from 11 a.m.-2 p.m. on Wednesday at the funeral home.